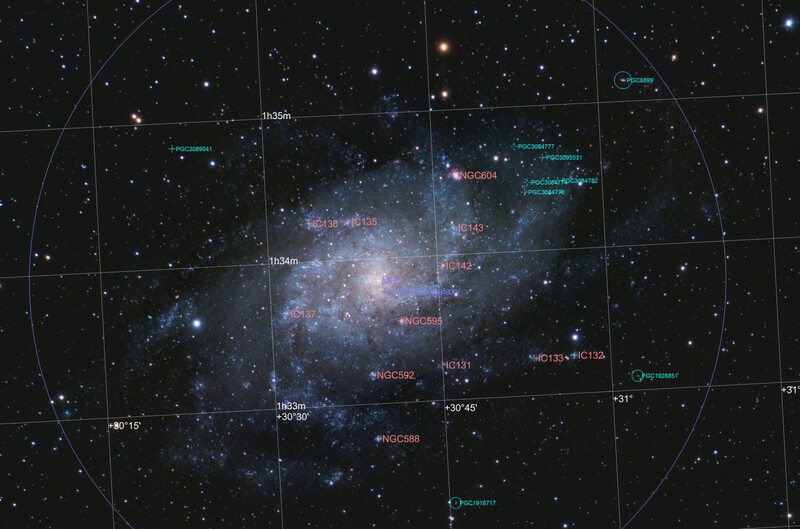 Note: M33 have around 40 billion stars, its diameter is approximately 60000 ly. Member of the Local Group with Andromeda and Milky Way and other smaller galaxies. 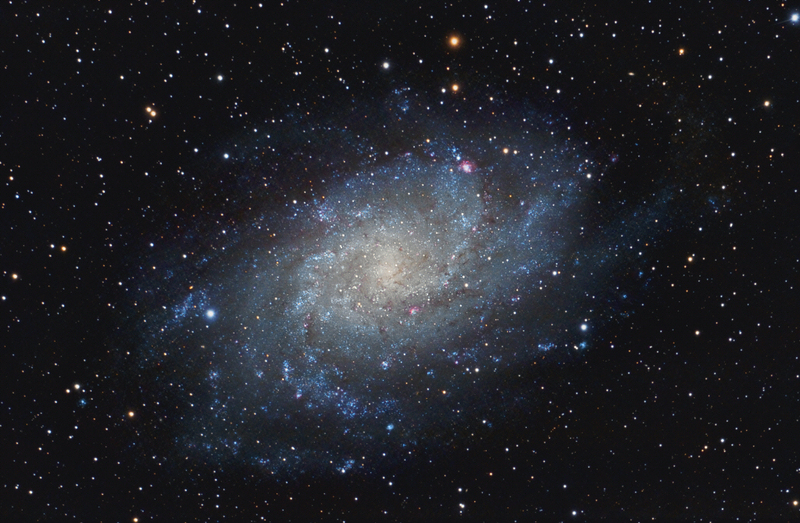 M33 is the smallest spiral galaxy in the Group. The Local group contains 54 galaxies, most of them are dwarf galaxies.